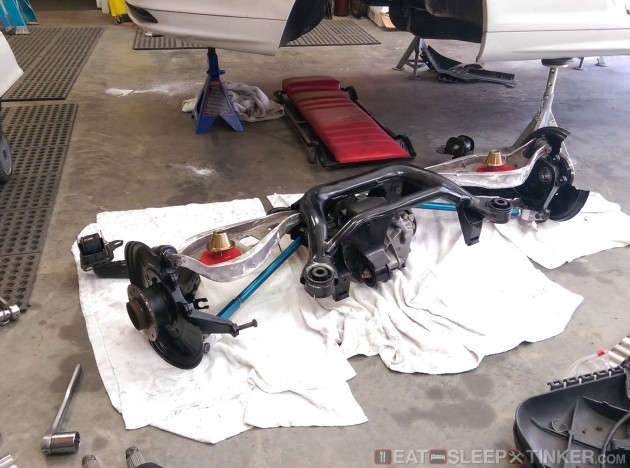 Eat, Sleep, Tinker.Spec E46 Build Part V: Suspension - Eat, Sleep, Tinker. 1. 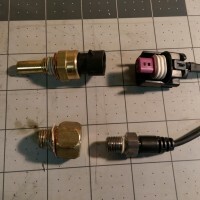 Shocks must be MCS non-remote reservoir single-adjustable (1WNR). 2. Front springs must be Hyperco 6″ 2.25″ ID 750# part number 186A0750. 3. Rear springs must be Hyperco 5″ 2.25″ ID 850# part number 185A0850. 4. Swaybars may be replaced provided they use stock mounting locations and either individual hole or sliding collar adjustment. Remote-adjustable or blade-type bars are not permitted. 5. 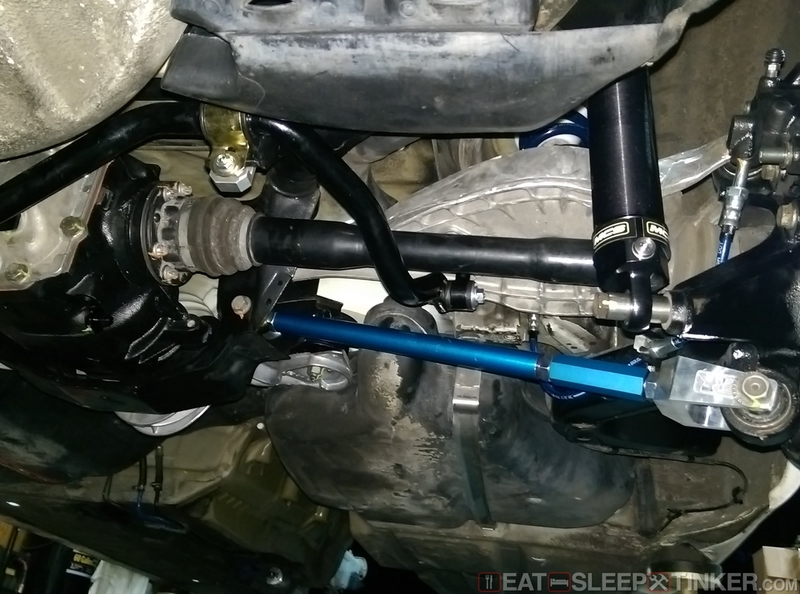 Swaybar links may be replaced. 6. Adjustable camber/caster plates are permitted. 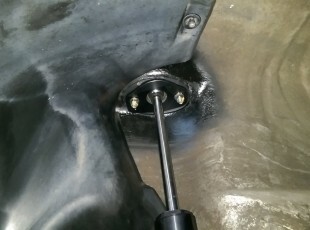 The three front strut mounting holes and center hole may be notched/trimmed to provide clearance for fitment or achieving full range of adjustment. 7. 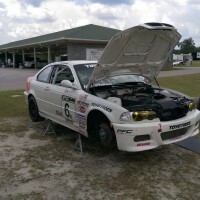 Any OE-spec E46 non-M3 front control arm may be used. 8. Front control arm bushings and housings may be replaced with a non-spherical bearing. 9. 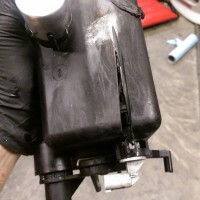 Rear upper shock mounts may be replaced. 10. Rear trailing arm bushings may be replaced with a non-spherical bearing. 11. Height adjustable rear spring adjusters may be added. 12. Rear lower control arms may be replaced. So with that in mind, I did have a few choices. Again I went with what seemed to be the most common sway bars, end links, camber plates, and bushings. I had a set of Rogue Engineering rear lower control arms on hand from my E36 build, so I went ahead with those. I’ll start at the rear. 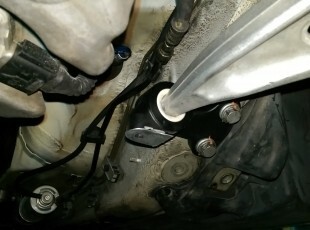 The rubber OE bushings were removed and replaced with PowerFlex Race poly bushings (black.) 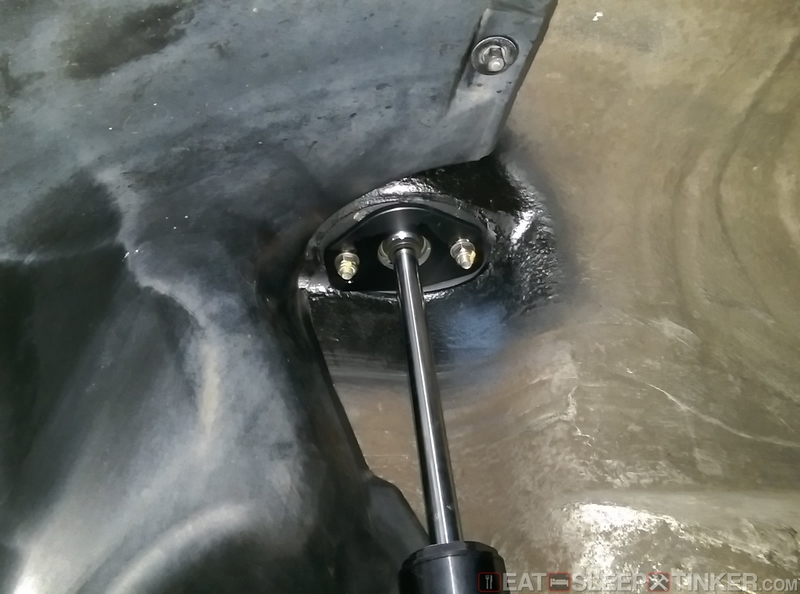 The outboard upper ball joint and lower rubber OE mounts were replaced with new OE mounts (no upgrades allowed.) The lower arms (aka “salad tongs”) were tossed in the trash and the alloy Rogue Engineering arms installed. Finally, Ground Control articulating weight jacks were added to the upper arms which also received new OE rubber bushings. For anti-sway bars I went with the Hotchkis Sport kit. This kit is a 30.2mm front and 25.4mm rear. It also includes new rear end links, and bracket reinforcement plates for both front and rear. Of course the shocks, struts, and springs are spec’d in the rules. For the rear shock mounts (RSM) I used Bimmerworld spherical bearing style mounts, so no rubber to deflect under load. Front mounts are Ground Control camber/caster plates. I notched the shock towers to gain additional negative camber and positive caster. The rest of the suspension was just about replacing the worn out 220,000 mile original parts. So new Meyle heavy duty front control arms were installed, eliminating the rubber isolated outer ball-joint.